Bob McCann is a native of Winchester, KY. Bob graduated in 1982 from Morehead State University where he attended on a golf scholarship. After lettering for four years, he worked in various aspects of the thoroughbred industry. 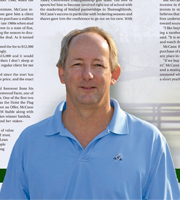 In October of 1986, McCann Bloodstock was founded and has been in operation for over 25 years as an independent owner, breeder and bloodstock agent. His involvement in the industry covers a wide range of areas; as to purchasing horses privately and at public auction for clients, stallion syndications and placing stallions at many Kentucky Farms and regional markets, mating consultation, stallion seasons/shares, and appraisals. In addition, he has bred and/or raced numerous stakes horses with the pinnacle being co-breeder of Kentucky Oaks winner Sardula. He maintains his own personal portfolio of approximately 27 horses that includes breeding stock, racehorses and stallion shares. Bob is currently serving on the board of the Kentucky Thoroughbred Association a member of The Thoroughbred Owners and Breeders, Kentucky Farm Managers Club and The Thoroughbred Club. He resides in Lexington, KY and has two daughters, Callaway and Ellen. Traci’s experience in the equine industry covers many facets from working in the barn to running the administrative side of an office. In 1980, she went to work at Gainesway Farm where she was employed for fourteen years. Today, she still enjoys working the sales for them. Traci has also worked for Castleton Lyons in Stallion Administration selling seasons and advertising for their first stallion MALIBU MOON. During her tenure there, Bernstein, Toccet and Action This Day were added to their stallion roster. Traci has been associated with McCann Bloodstock for 15 non-consecutive years where she currently runs the administrative side of the business. 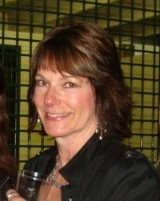 She also is licensed to offer equine insurance through Kirk Horse Insurance who is based in Lexington, KY. Her husband, Byron “Scooter” Hughes is a trainer who is based at the Kentucky Thoroughbred Center where he maintains a public racing stable for clients of around twenty plus horses for the past fifteen years. They also maintain a small broodmare band. She is also fortunate to have two wonderful step-children in Byron who following in his father’s footsteps and Sydney who is attending college at Auburn University to become a large animal veterinarian.